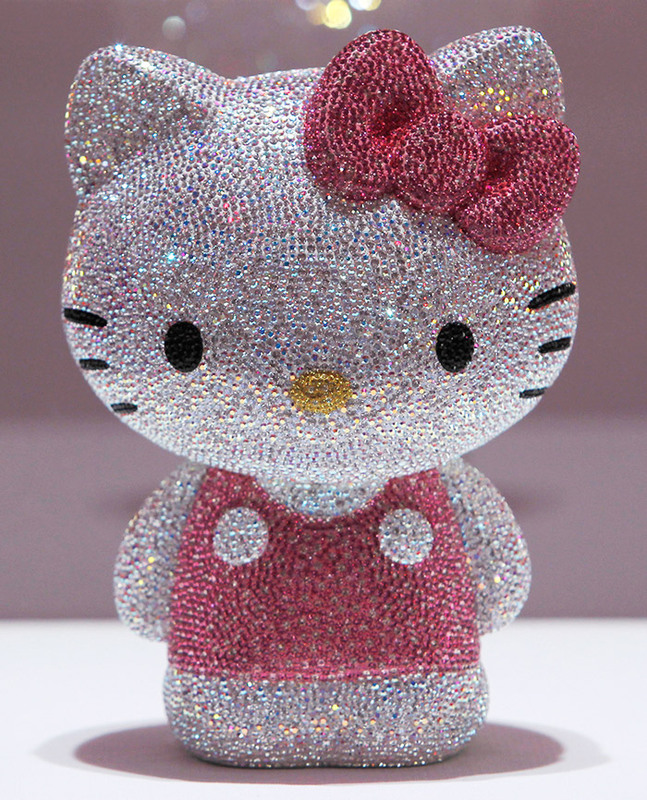 A Hello Kitty figurine, studded with 19,636 Swarovski crystals - The figurine was put on sale with a price tag of 1,155,000 yen ($14,246). Aesir Gold Mobile Phone - It doesn't do email, the internet, have a camera, games or GPS navigation, but is literally solid gold. 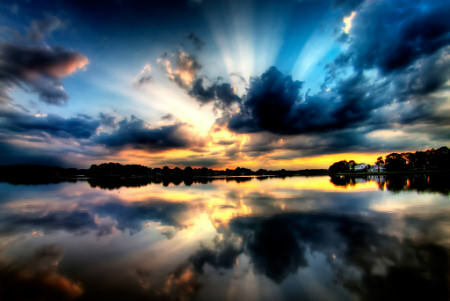 Danish retailer hopes to sell its $57,400. 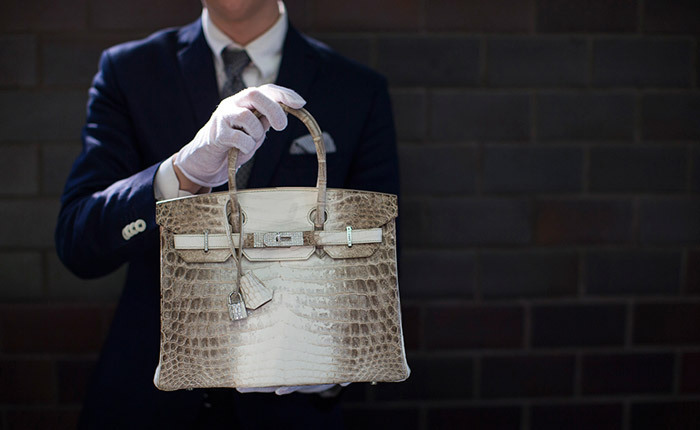 Hermes diamond and Himalayan Nilo Crocodile Birkin handbag - The handbag have 242 diamonds with a total of 9.84 carats. 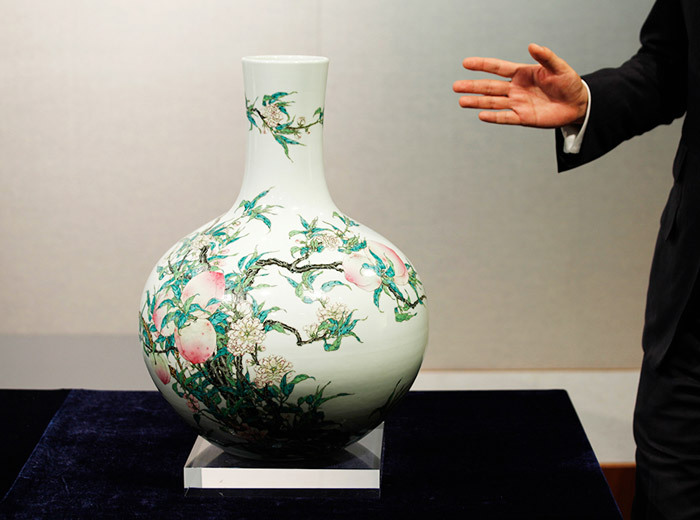 A fine and rare famille-rose "peach" vase, Tianqiuping, with a seal mark and period of Qianlong - This vase is estimated to fetch 10.3 to 15.4 million dollars. 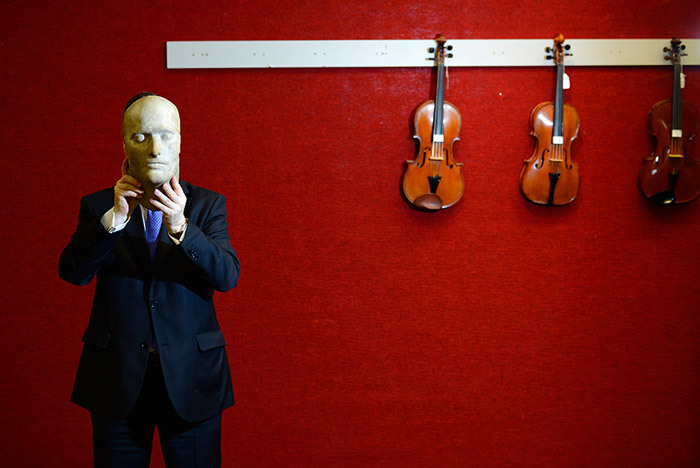 Death mask of the French Emperor Napoleon Bonaparte - The mask made shortly after Napoleon's death on the island of St Helena on May 5, 1821, is estimated to sell for 40,000 - 60,000 GB pounds (US $60,000 - 91,000) when auctioned on June 19. 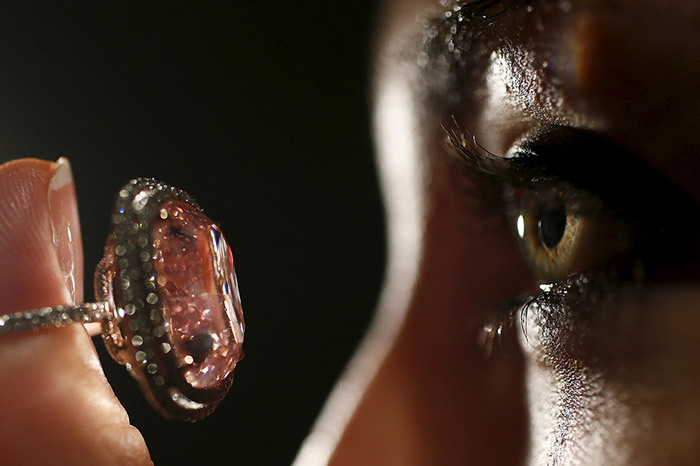 Cushion-shaped 16.08 carat vivid pink diamond - The stone is estimated to sell for $23-28 million. 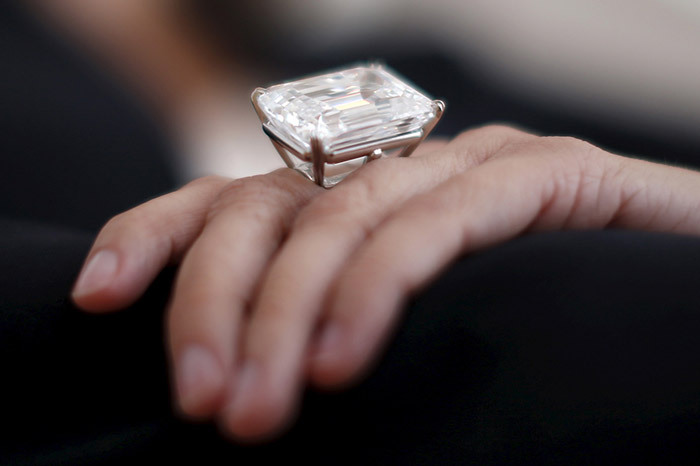 100.20-carat diamond ring - The ring is expected to sell for the US $19-25 million. 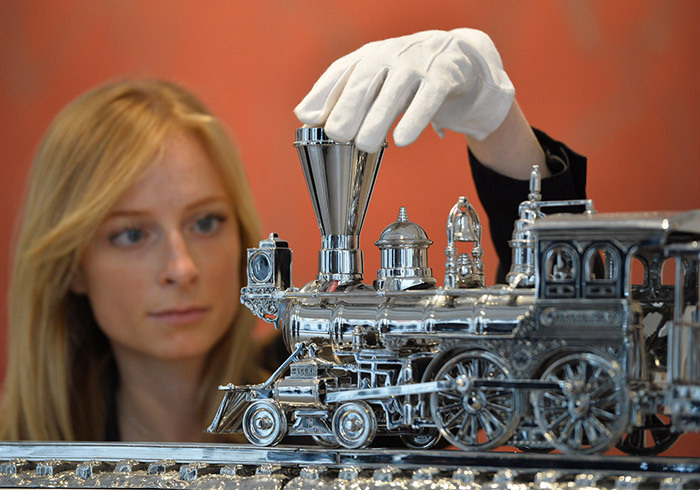 The Jim Beam J.B. Turner Train' sculpture - The steel piece has a predicted auction sale estimate of US$25 to 35 million (15-21 million pounds). 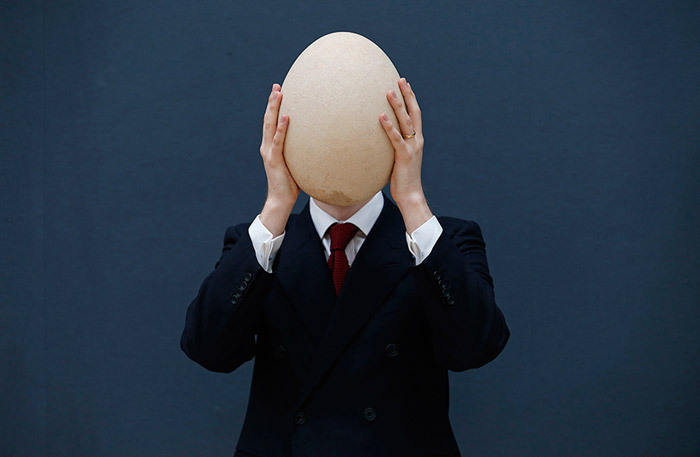 Pre-17th century, sub-fossilised Elephant Bird egg - The rare egg is expected to sell for 20,000-30,000 GB pounds (U.S. $30,000-45,000). The extinct Elephant Bird, a native of Madagascar, was a large bird measuring around 11 feet in height. 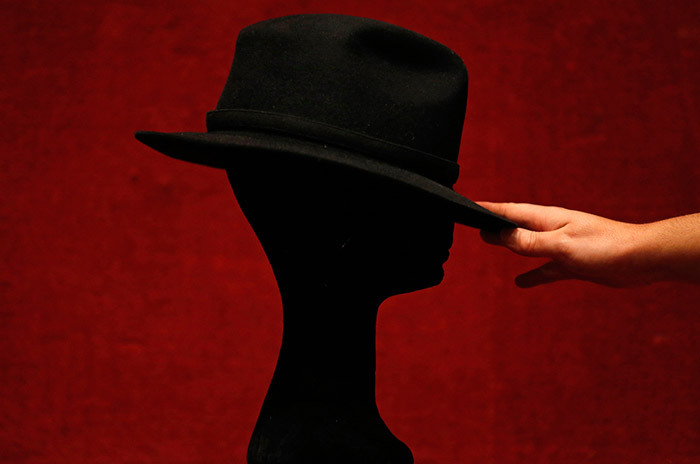 Michael Jackson's black Fedora hat - The hat, made by Maddest Hatter in 1984, estimated for between 4000 to 5000 thousand euros. 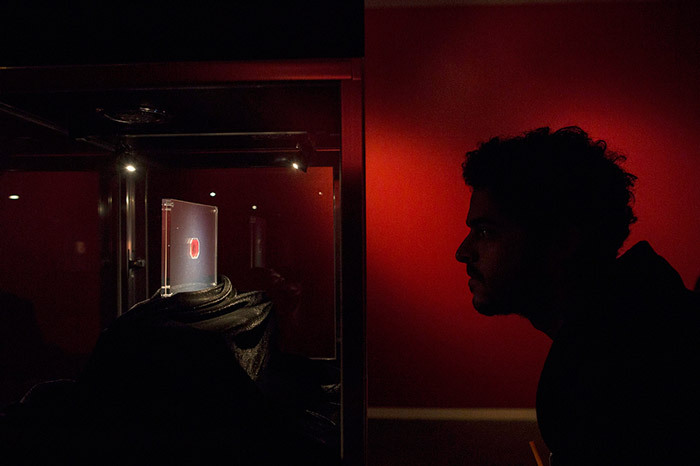 British Guiana stamp - The stamp, being called the world's most famous, is estimated to sell for $10-20 million. 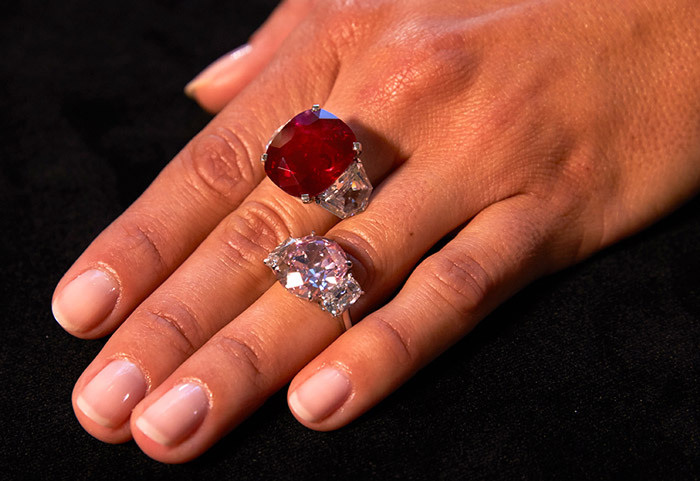 The "Sunrise Ruby" (top) a Burmese ruby weighing 25.59 carats, and the "Historic Pink Diamond", a Fancy Vivid diamond weighing 8.72 carats - The ruby is expected to sell between US $ 12,000,000 to 18,000,000 and the diamond US $ 14,000,000 to 18,000,000. 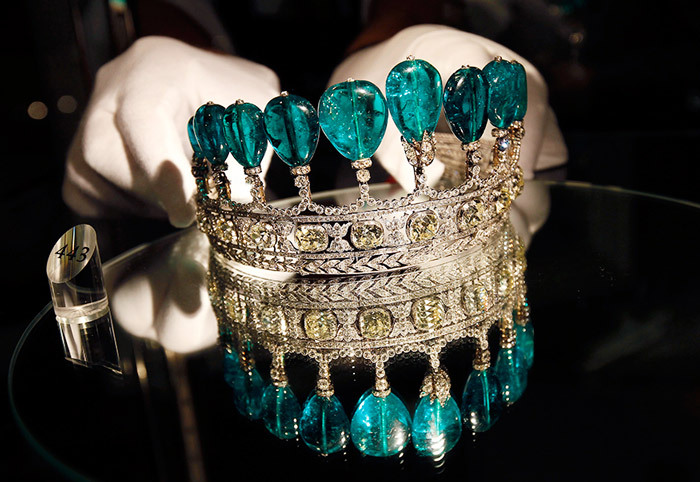 An emerald and diamond tiara - The tiara is estimated to sell for CHF 4.6-9.2 million ($5-10 million). 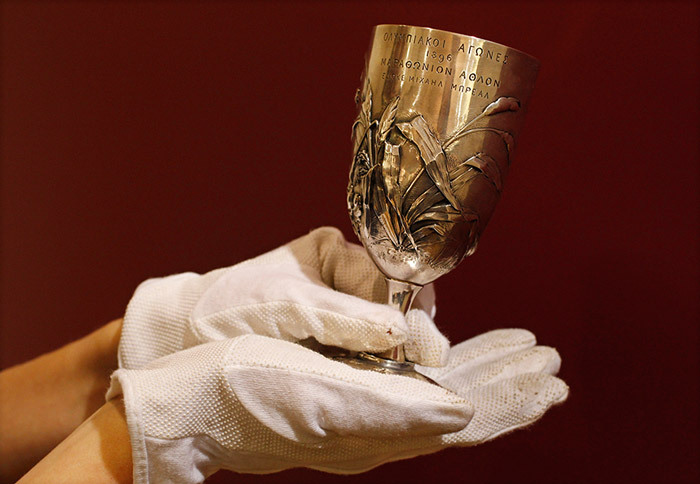 The Breal's Silver Cup, the first ever marathon winner's cup from the first modern Olympic Games in 1896 - The cup is expected to sell for 120,000-160,000 pounds ($192,000-255,000). 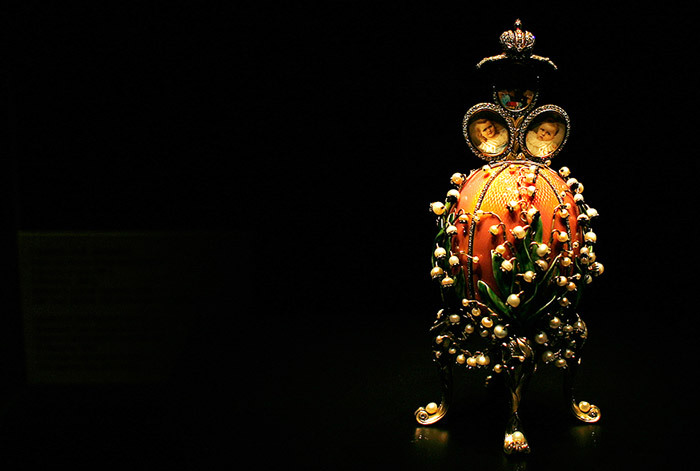 The Lilies of the Valley Faberge egg - The egg of gold, enamel, diamonds, rubies and pearls was presented by Emperor Nicholas 2nd to his wife, Empress Alexandra Feodorovna, for Easter 1898. 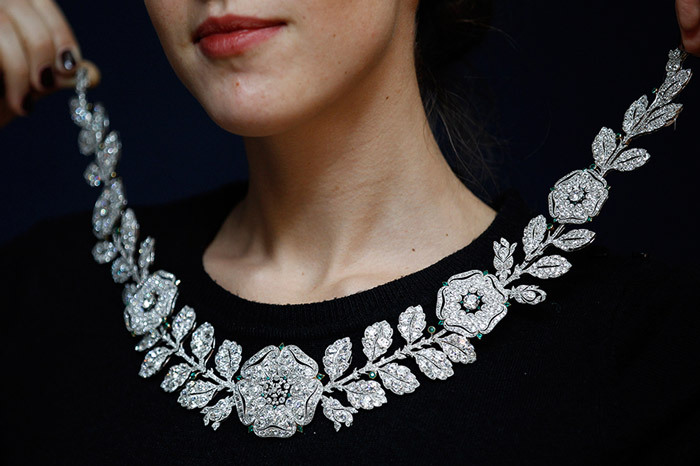 Belle Epoque diamond and emerald necklace - The necklace is estimated to fetch between 1.3 million and 1.5 million US dollars. 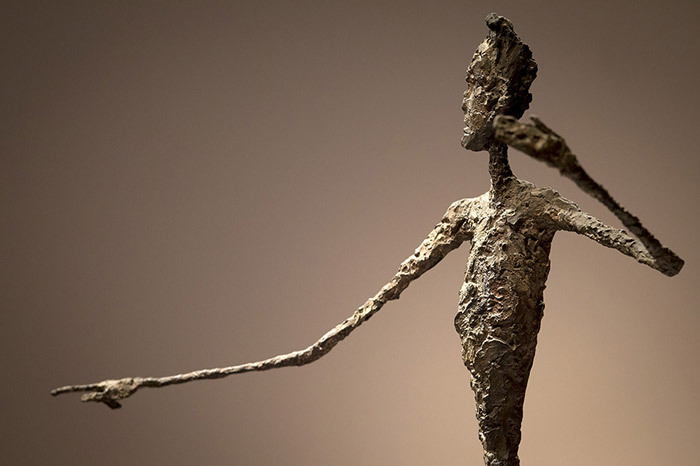 The top half of Alberto Giacometti's "L'homme Au Doigt" (Pointing man) sculpture - The Giacometti sculpture set a world record price of $141.3 million.